Prime Minister Najib Abdul Razak said it is timely for efforts to be stepped up by three countries, namely Indonesia, Brunei and Malaysia to enhance collaboration in promoting a green economy, including green technology and wildlife conservation. He said that Malaysia would help to facilitate further discussions on this proposal within the framework of an appropriate forum involving the countries concerned. “I am confident that our collective efforts would be applauded domestically and by the international community,” he said in his keynote address at the official opening of the 13th World Islamic Economic Forum (WIEF) in Kuching today. Najib said Malaysia strongly supported the notion of a green economy being integral to the country’s development, and at the same time, recognising the need to preserve the sustainability of the environment for future generations. “Disruptive change is coming and the countries cannot avoid it but instead embrace it,” he said. The prime minister said Malaysia had formulated its own digital policy, aiming it would help contribute 20 percent of the country’s gross domestic product by 2020, if not earlier. “That is why we have recently become the first country in the world outside China to establish a Digital Free Trade Zone (DFTZ). “This will provide physical and virtual zones to facilitate small and medium enterprises to capitalise on the exponential growth that we are seeing in the Internet economy and cross-border e-commerce,” he said. Malaysia, he said, had risen to become one of the leading e-commerce markets, generating revenues of US$2.3 billion last year alone. 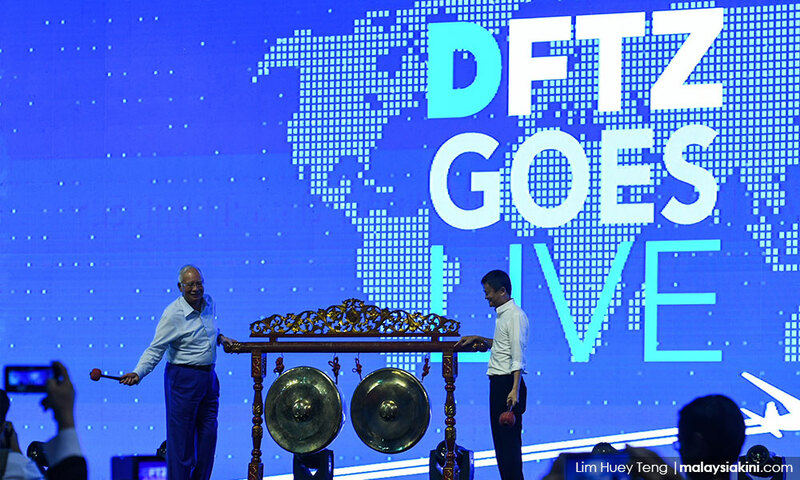 Najib expressed hope that Malaysia’s ultimate aim was for the DFTZ to help transform the country into a regional e-commerce hub. Najib, who had just returned from the Asia-Pacific Economic Cooperation (Apec) and Asean summits, said that leaders during the meetings had discussed the challenges of the Fourth Industrial Revolution. “I can’t help but think of how the term ‘disruptive change’ applies to what has been happening in many parts of the Muslim world and I am firm in my view that we must be relentless in dealing with these challenges,” he said. 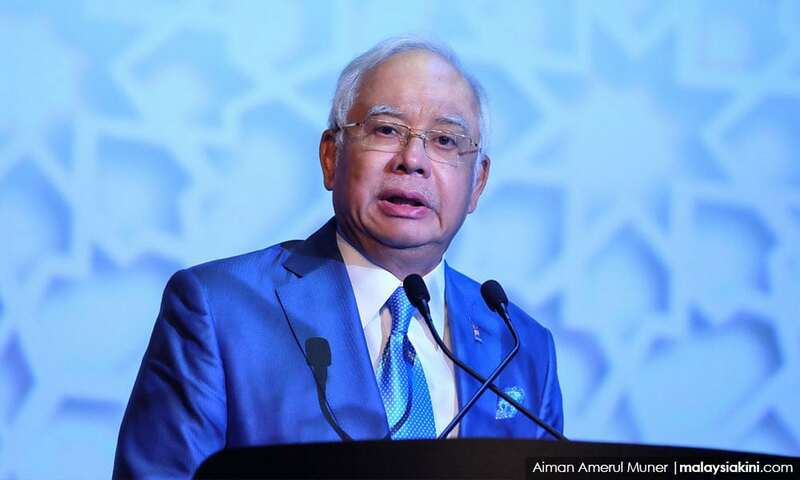 Najib quoted a report by Thomson Reuters titled, “State of the Global Islamic Economy 2016/2017”, that the Islamic economy was projected to reach a massive US$3 trillion by 2021. “The report also says the Islamic finance assets are projected to have a market size of US$3.5 trillion by the same year. “Here, in Malaysia, as recognised by the report, we have made a deliberate and strategic effort to capitalise on these opportunities,” he said. In the report under its Global Islamic Economy Indicator, which measures a total of 73 countries, Malaysia was ranked in first place with a score of 50 percent higher than the second-placed country, the United Arab Emirates. Malaysia also took the top spot for Islamic finance and second place for halal travel and halal pharmaceuticals and cosmetics. Malaysia was also recognised as the “Best Developed Ecosystem for Islamic Finance” and having the strongest regulatory framework.